Fear is perhaps one of the most debilitating feelings which render people helpless before they even try or do something they are afraid of. The definition of fear is any intense or distressing sensation caused by a perceived threat. Most people act on proxy – avoiding whatever it is they are afraid of without ever having experience it or any negativity from it in the past. How can someone be afraid of something they’ve no experience of, or afraid of something that can’t harm them? The answer is witnessing it in others, being conditioned by role models, or accepting what the media says. Fear robs most people of living – enjoying their life to the maximum! Let me start out by saying that it is okay to be afraid of things or situations that do pose an immediate threat or danger. One should be afraid of sticking their face into a den of cobra snakes! One shouldn’t place their hand in a fire and not expect to get burnt. One shouldn’t walk on the ledge at the top of the Empire State Building and not expect to fall off! There is being rationally afraid of things, the aforementioned and then just being plain stupid, trying the aforementioned and believing you will walk away unscathed. Some fears are built into serve as protective mechanisms to keep you safe. Other fears are unfounded fears that create panic, anxiety and rob you of otherwise satisfying experiences. People who scream every time they see a mouse, a spider on the wall, or when the lights go off and it becomes dark make me laugh. When was the last time you read about a person being attacked by a tiny mouse, or being ravaged by a spider that lunged off of their wall, or better yet getting swallowed up alive by darkness? When you ask people why they are afraid of these things, most can’t even tell you why. Perhaps it was learned in their childhood while watching a show on television or being constantly warned by adults that mice are bad, spiders will kill you, and you shouldn’t be alone in the dark – phobias and irrational fears were created. Regardless, some people will never do things, such as seeing the world because they are afraid of flying or putting their feet in the bath-like waters of the ocean because they have hydrophobia (fear of open water) or sharks. Okay, for those old enough to remember the movie Jaws from the 1970’s I will give you that one if the water is more than two feet deep! Most people will hold onto their fears however irrational they may be because they never face them or challenge the root cause. 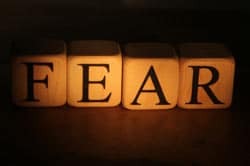 When you dig down into the root cause of the fear (phobia) you often time find there is a minimal cause at best or something so minor that it has created such a profound effect on the person’s life. I strongly encourage you to try hypnosis or progressive muscle relaxation to overcome your fears. Hypnosis has the fastest and greatest abilities to help people overcome their fears and live happy lives. It’s one thing to avoid something because it is dangerous, but it is another thing to let fear rule your life to the point of being afraid of fear! 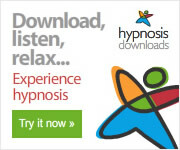 Start to get over your fears today on your own time with this hypnosis download session here. Can you use hypnosis to block a bad memory which turns it to fear? I was about six and was eating salad. I bit a worm in half unknowingly. Felt like the worm was crawling back up my throat, and since CANNOT tolerate the taste or feeling of salad. Lettuce or anything like it. I love the smell of cucumbers, but relate them to salad and cannot eat them either. I am normally a very strong person mentally, but seem to strongly struggle with this. I want to lose weight and want to start eating salads again, but each time I try, I feel like that little kid all over again, all freaked out over the texture or taste or the memory. Not sure, but I hate this part of me. Is this something that hypnosis could help with? Hypnosis and NLP can help. Will be in touch.